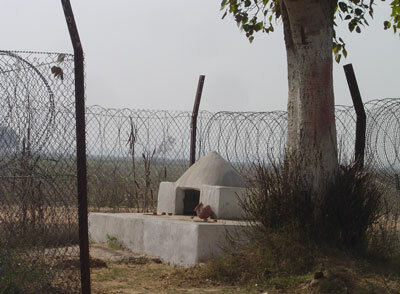 the site of on-going anti-SEZ agitation. In India, hardly a day goes by without the media reporting a protest or posting a debate on the country's Special Economic Zone (SEZ) policy. What is the policy about? Why is it so controversial? What are the main issues of conflict and who are the protagonists? 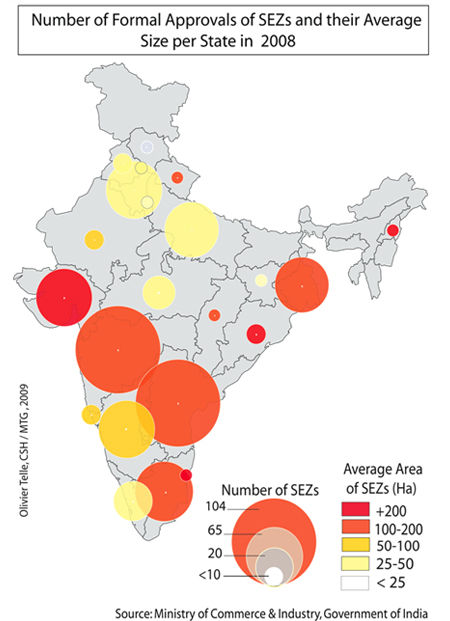 How does the future look for India's SEZs? Export zones are not a new phenomenon in India, indeed it was the first Asian country to experiment with them in the 1960s. However, until recently they remained limited in number and scope and their contribution to overall exports was not remarkable (about 5% in 2000). India's current policy draws its inspiration directly from the Chinese SEZ model, but in practice it is very different. It was in 2000, after returning from a visit to China that India's Commerce Minister announced the new policy, hoping to emulate the impressive export performance of its neighbour. To recall the context, India had been gradually opening up its economy from the early 1990s, in the framework of a structural adjustment programme, but reforms were unpopular and had reached a bit of a standstill. The SEZ policy was seen as a way to favour trade and foreign investment without having to implement politically sensitive reforms, notably with regard to labour laws. In 2005, a newly elected coalition government, led by the Congress Party, decided to strengthen the SEZ policy by passing a law in Parliament and developing an elaborate set of rules. The objective was to accelerate much needed private investment in industrial infrastructure and create employment by offering a favourable fiscal and regulatory regime both to SEZ developers and to the firms that would settle in the zone. Benefits include exemptions from import and export duties, excise and sales taxes, and up to 15 years of tax holidays on profits. The promoters remain the owners of the zone and lease space to private enterprises. An important feature of the law: in addition to the processing area, SEZs can also include residential and commercial areas, making them de facto private townships. as part of the SEZ rehabilitation package. Polepally, Andhra Pradesh. The SEZ Act underscored the government's commitment to economic growth and greater integration in global markets, thereby sending a strong signal to India's business community, which quickly rallied. Indeed, the response from the private sector has been overwhelmingly positive. The government has received more than 700 proposals, mainly from real estate developers, which are at various stages of advancement. For instance, 573 projects have received “formal approval”, meaning the promoters have managed to assemble all the land required for their proposal and are awaiting final clearances. 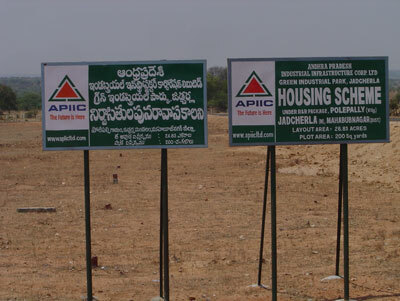 Out of these, 348 projects have been ‘notified', they have obtained all necessary approvals. The table below shows the breakdown. Source: Ministry of Commerce and Industry, Government of India, January 2010 (http://sezindia.nic.in). Two major differences with the Chinese SEZs: firstly, India's zones are to be developed by the private sector, or in partnership with the public sector, and not by the state and secondly, whereas China's zones are vast, comprising entire regions, India allows seven different types of zones (e.g., multi-product, single sector, etc. ), the smallest of which is only 10 hectares. As of today, a majority of India's SEZ proposals are small in size, and the few already functioning are hardly different in appearance from an IT business park. But formal approval has also been given to 23 large multi-product SEZs, whose minimum size is 1000 hectares, and these have been the most controversial. 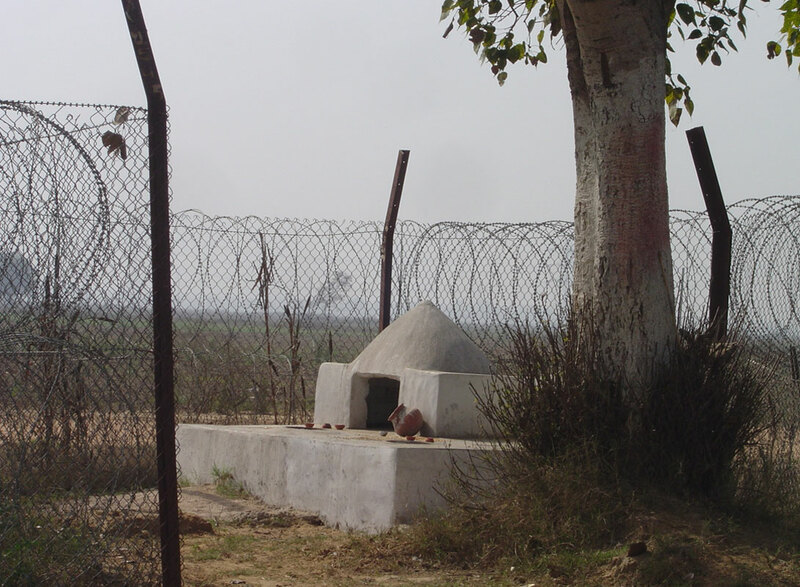 The SEZ boundary fence circumvents a temple. 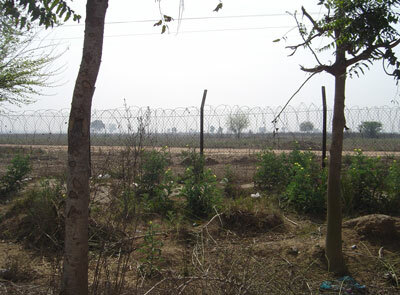 Reliance-Haryana SEZ in Gurgaon, notified since 2007. Land is by far the most contentious issue surrounding large SEZ projects, as it crystallizes other major development issues, notably livelihoods. Simply stated, the conversion of agricultural or grazing lands into manufacturing or service units does not necessarily provide employment opportunities for those who have lost their land, in practice it usually does not. Nor are the losers certain to receive compensation; although other groups may hold customary rights over land, in general only those holding property titles can claim compensation. Moreover, property rights are not always clearly defined in India: farmers may not hold legal titles to the ground they till, nor livestock breeders and forests dwellers for the lands they exploit for livelihood, and then there are numerous cases of collective ownership, especially in the case of indigenous “tribal” groups. In this context, it is difficult for private SEZ promoters to purchase the land, and they often turn to public authorities for assistance. And in many such cases, state (provincial) governments, eager to attract new investments, are willing to oblige. Under India's federal set-up, states are in charge of land and existing legislation (notably the Land Acquisition Act, 1894) allows them to forcibly acquire land for “public purpose”, a category that leaves wide discretionary powers. Even when the state does not directly transfer land to private parties, it can provide strategic assistance to firms trying to purchase land by deploying the police or turning a blind eye to pressure directed against landowners or protestors. This is why in most cases anti-SEZ activists target the state, accusing it of taking the side of private corporate houses, Indian or foreign, against the people. This was the case in Nandigram in West Bengal where local farmers and tenants refusing to give up their land clashed with police in March 2007 leaving 14 people dead. Protestors at Nandigram in early 2007. © 2007 - Partha Sarathi Banerjee. 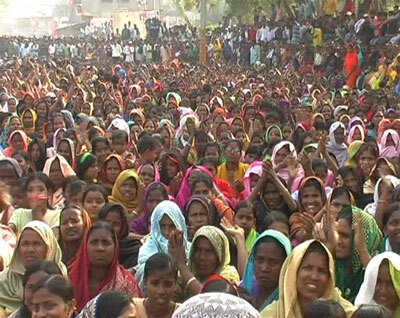 The Nandigram incident sent a shock wave through the country and the central government was forced to take notice. The main policy revisions included directing state governments to refrain from helping private promoters, urging private firms to avoid acquiring fertile agricultural land, and lowering the ceiling on multi-product SEZs from 10,000 hectares to 5000 hectares. Despite these injunctions, most state governments continue to acquire lands with a view to building up a “land bank” so that they can propose plots to prospective investors, whether for an SEZ or not. Since economic reforms eased investment procedures in the 1990s, states have been increasingly in competition with each other for new capital and SEZs are no exception. Such a race for investment tends to give only secondary importance to social and environmental considerations. Exacerbating regional inequalities, both between and within states, is another contentious issue surrounding SEZ policy. 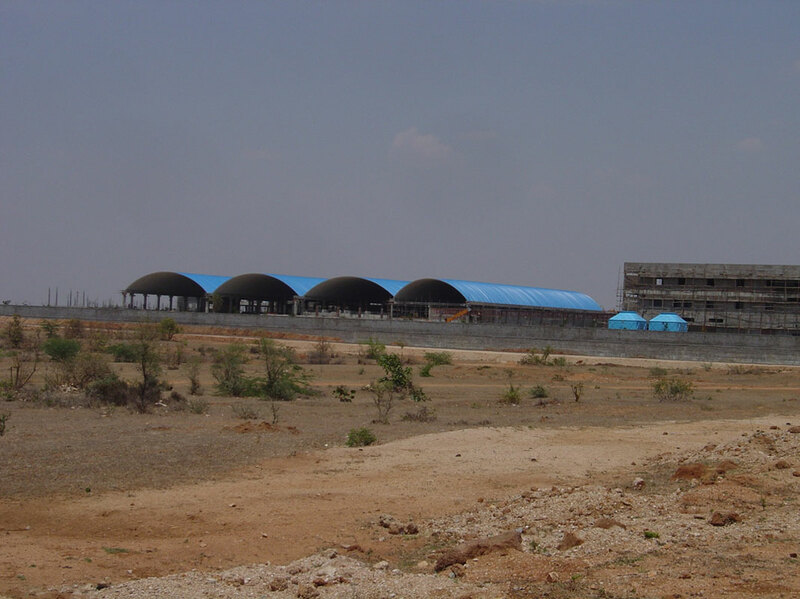 There are no restrictions on where SEZs can locate nor incentives to set-up in lagging areas and so, not surprisingly, they have concentrated in the most developed regions of the country where infrastructure quality is the best. Approximately 75% of formally approved projects are located in just six states (out of a total of 28). These are India's most industrialised regions; with the exception of Haryana in North India, which surrounds metropolitan Delhi on three sides, the other states are in the relatively prosperous regions of the South (Andhra Pradesh, Karnataka, Tamil Nadu) and West (Gujarat, Maharashtra). In terms of performance too, these five states accounted for 96 per cent of SEZ exports in 2009. Figure 1 below illustrates the spatial distribution of approved projects in 2008, and also indicates the size of the projects. The strong presence of real estate developers among SEZ promoters has reinforced the argument that the law contains major flaws, notably that it allows tax breaks for commercial and residential developments, for which there is already strong demand in cities, without necessarily giving priority to productive activities. Indeed, most SEZ projects are very small in size —70% are less than one km2— and are located in and around metropolitan cities. By encouraging infrastructure development and creating employment in peri-urban areas, it is expected that the SEZ policy will accelerate urbanisation; initial projections estimated that between 50 and 70 satellite cities would spring up around SEZs, each with a population of 500,000 to one million. Already India's urban centres have been the major beneficiaries of the rapid growth of the last decade, as have the urban middle classes. Fast-growing inequalities between rural and urban areas and between the richest and the poorest have started to grab the attention of policy-makers who worry that social conflict could jeopardize the reform agenda. To the extent that the SEZ policy appears to aggravate inequalities, it could become a political liability in a vibrant democratic set-up like India's. Yet another criticism is that SEZs are not creating a new manufacturing base since almost 70% of total SEZs are in the information technology and services sector, where India's specialisation was already confirmed. Although the IT sector is performing very well, it does not absorb large quantities of labour, whereas creating new employment is perhaps India's most crucial challenge if it is to realize a peaceful transition from agrarian-based to industrial and service economy. 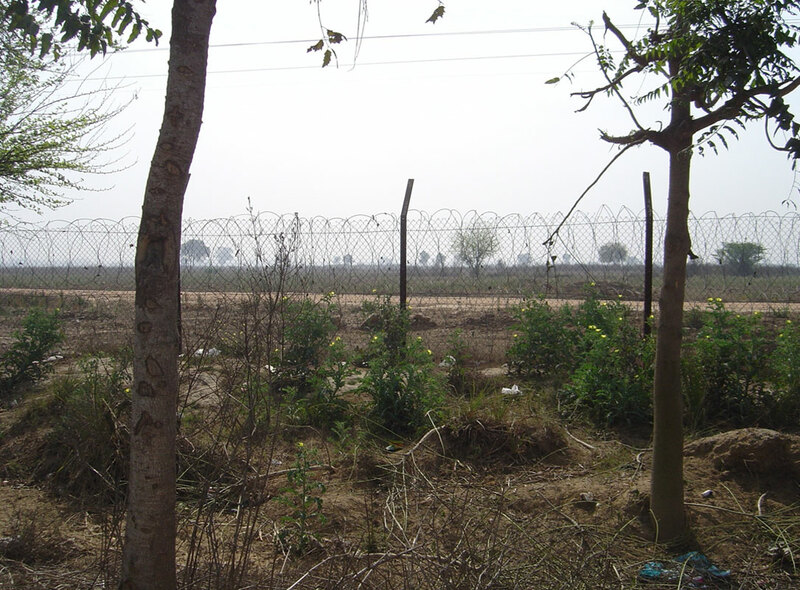 at the Reliance-Haryana SEZ in Gurgaon, notified since 2007. 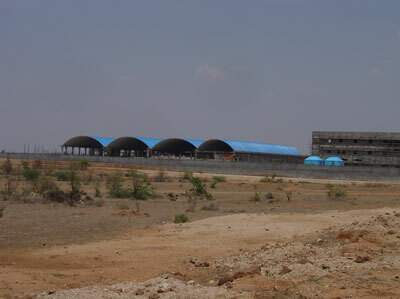 With the global financial crisis, the development of SEZ projects has slowed down, and many have been put on hold. In addition to the sharp reduction in international demand for exports, which has dampened enthusiasm for SEZs, promoters have had difficulty accessing credit. There have been several requests from promoters for de-notification of their projects, an eventuality that the law had not anticipated. In some ways, it looks like the SEZ experience is losing steam even before it could reach cruising speed. However, recent statistics indicate that despite the economic downturn exports from SEZs increased in 2009 by 36% over the previous year, including for manufactured goods. But, given the entrenched nature of the anti-SEZ opposition, good economic performance is only part of the picture; ultimately the political costs of supporting an unpopular policy may determine its future. Grasset, Jérémy, Landy, Frédéric (2007) Les zones franches de l'Inde, entre ouverture à l'international et speculation immobilière. Annales de géographie, n° 658, pp. 608-627. A sign for one of the 26 SEZs coming up in Gurgaon, adjacent to Delhi.